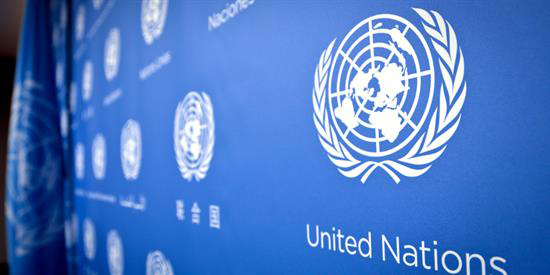 The 2016 High-level Political Forum on sustainable development, under the auspices of ECOSOC, closed on 20 July with the adoption of a Ministerial Declaration. The Forum had as central feature voluntary national reviews by 22 countries on the steps they are taking towards the implementation of the 2030 Agenda and the Sustainable Development Goals. The pioneering role of these countries was recognized by all, said Under-Secretary-General Wu Hongbo. “The lessons you have offered, the actions you have showcased, and the gaps you have identified, they are what this Forum is about. 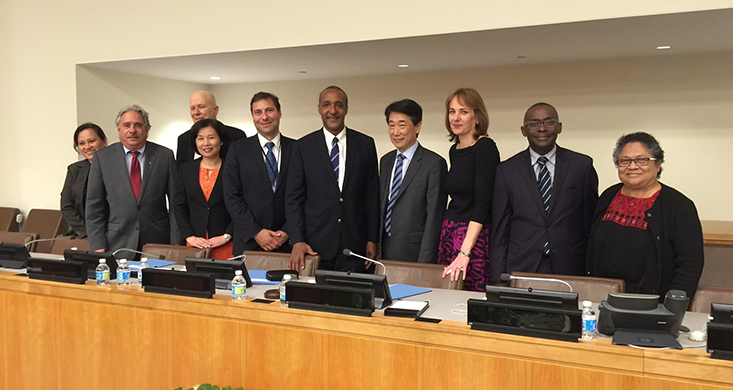 Advancing the SDGs through sharing of experiences, and mutual learning” said Mr. Wu in his closing statement. The launch of the first SDGs Progress Report and the presentation of the 2016 Global Sustainable Development Report were further highlights of the meeting. More than 1500 Major Group and other Stakeholder representatives participated in the eight-day Forum, and a ‘Partnership Exchange’ event and SDG Business Forum were held, engaging non-state actors essential for implementing the SDGs. SDGs Learning, Training and Practice sessions were further elements of this year’s HLPF, providing capacity building, networking and experience-sharing opportunities on crucial topics related to the implementation of the 2030 Agenda. A Scream from Nature exhibition and performance was also featured on the side line of the HLPF, to raise awareness of the relationship between humans and nature. Understanding of the scientific basis for action will be needed to achieve the ambitious and transformative goals of the 2030 Agenda for Sustainable Development, according to a new report issued during the High-level Political Forum on Sustainable Development. The Global Sustainable Development Report 2016, an assessment of a broad array of scientific literature pertaining to the sustainable development agenda, was prepared by UN DESA and draws on the technical expertise of 245 scientists and experts. Applications for the 2016 UN-DESA Grant on Energy for Sustainable Development are being accepted until 15 August 2016. 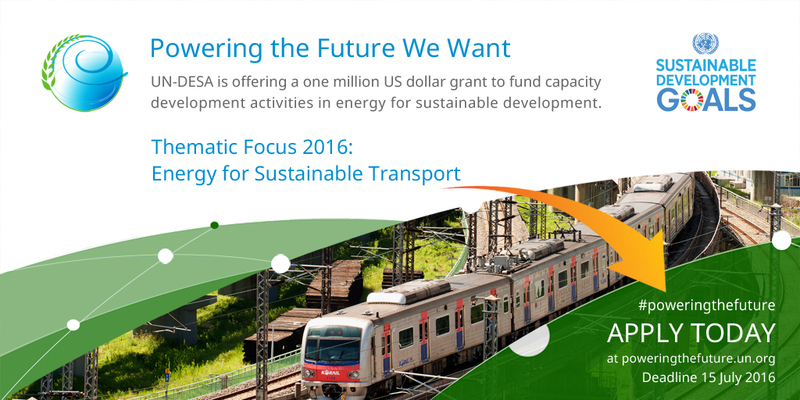 The thematic focus for the 2016 Grant, which carries an award of one million US dollars for the winner, is "Energy for Sustainable Transport". Applications are open to individuals, institutions or partnerships based on past and current achievements. The Grant seeks to advance sustainable development by encouraging scientific and technological innovations and fostering leadership initiatives and innovative actions that improve energy for sustainable transport, while addressing economic, social and environmental sustainability. Successful recipients should be able to demonstrate leadership and innovation in energy for sustainable transport, as well as willingness and ability to implement knowledge transfer through capacity building activities aimed at replicating and scaling up successful experiences and lessons learned. Transport drives development—enabling trade and economic growth and allowing people to access jobs, services, education and the interactions that help create full and fulfilled lives. Sustainable transport drives sustainable development, fighting climate change, advancing the people-centered goals at the heart of the 2030 Agenda while protecting and preserving the planet and its resources for generations to come. Recognizing the fundamental role of sustainable transport in achieving the future we want, United Nations Secretary-General Ban Ki-Moon will convene a global sustainable transport conference, on 26 and 27 November 2016 in Ashgabat, Turkmenistan. The first annual Multi-stakeholder Forum on Science, Technology and Innovation for the SDGs, convened by the President of the Economic and Social Council, H.E. Oh Joon, on 6 and 7 June, was attended by more than 600 participants representing 81 governments and more than 350 scientists, innovators, technology specialists, entrepreneurs and civil society representatives.